Home > Categories > Automotive > Auto Repair & Service > KBS Motors Inc.
For 53 years KBS Motors has been a family owned business taking care of your families cars. Back in 1957 Elvis Presley appeared on the Ed Sullivan Show, American Bandstand and Leave It To Beaver debuted on T.V., Sputnik was launched into orbit, John Lennon and Paul McCartney meet for the first time and we opened our doors to work on your automobile. Whether you drive a classic 57 Chevy or a modern Toyota we can fix your car. 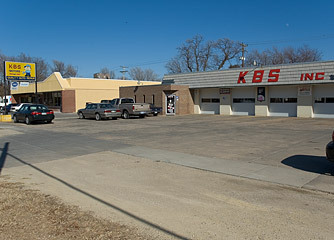 For over 55 years KBS Motors has been a family owned business taking care of your family's cars.